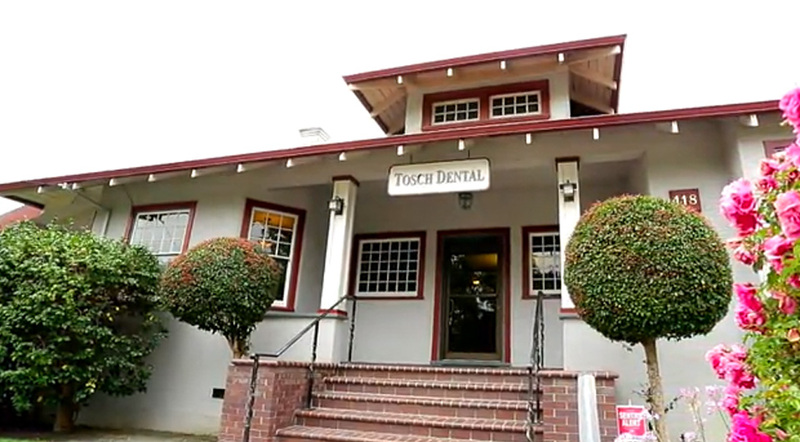 In 1984, Tosch Dental first opened its doors out of a small space in Benicia's Brick Power House Building. In these early days, Dr. Tosch and his wife Cindy supported the growing practice by running a dental lab catering to many dental offices in the area. As the office gained more patients, the business became less of a lab—and more of a traditional family dental practice. We have been blessed with a highly capable and reliable staff—most of which have been with us for over 10 years. This has allowed us to grow and adapt together, as well as with the families we serve in our community. Dr. Tosch's goal has always been to not only serve the community, but also be an active, positive part of it. We are located in a historical Craftsman Cottage, built in 1918, that we designed in hopes of making our patients feel at home—even in the dental chair. Our practice has always placed great importance on staying up on the latest dental technology. We are proud to offer the most current treatment options, as well as an extensive range of services from implants to braces. Tosch Dental also has its own in-house laboratory, so if you receive implants or restorations, it is hand-built by our team. No matter what your family dental needs are, we are confident you will find the solutions and care you need with Tosch Dental. We don't want to just meet your expectations — we want to exceed them. This is probably because Dr. Tosch could have just as easily wound up on a football field as in a dental office. Fresh out of High School, he was presented with a very difficult choice: 2 completely different College scholarships. Should he attend the University of Miami and utilize his athletic skill as a Linebacker, or concentrate more on his studies with a full Academic Scholarship to University of Central Michigan? Due to a lifelong dream of working in the health professions, he chose an academic route. After spending his first 3 out of 4 years at the top of his class, he found it necessary to help his wife Cindy through a difficult pregnancy, and ultimately graduated 2nd in his class. Over the years, there has not been a single day that he has not enjoyed coming to work. He enjoys meeting new people, catching up with others and working with a staff that feels more like family. We hope you will enjoy our office as much as we do! Without Cindy, Tosch Dental would not be what it is today. She is the foundation behind the business. Every aspect of this practice has been finely tuned by her charisma, dedication and hard work. In the early years, she helped start the practice by running a dental lab utilized by many different dentists in the area. Today, she’s the one making sure we are all happy here at Tosch Dental. She has hand-picked each and every team member in hopes of creating a cohesive team — a family. As many people in the community know, Diane has been a hygienist at Dr. Tosch’s for many years—since 1998 to be exact. She has a way about her that makes her patients feel more like old friends. With a truly kind and warm disposition, Diane represents our mission at Tosch Dental. We want you to feel “at home — even in the dental chair”. Diane has mastered this by just being herself. She is a true joy to work with, filling the office with a warmth that her coworkers couldn’t live without. Michelle likes to get to know her patients. She likes the fact that she gets to see each and every one of them 2 to 3 times a year. The best part of her job is the opportunity to help people in her community to smile just a little bit bigger—and hopefully more often! Shortly after completing the Dental Assisting program at Carrington College, Gina came to our office as an intern in early 2010. Needless to say, with her positive attitude, enduring work ethic, and easy smile, we could not let her leave. She was offered a permanent position as one of Dr. Tosch's assistants. Not only does Gina help ensure that the treatment of our patients runs smoothly, she has an incredible ability to put those around her at ease — a quality that is all too important in the dental setting. Jacquelyn was a patient (and a good friend of the family) long before becoming a part of Dr. Tosch's professional team. We always knew she would be an excellent fit for our office and were so excited when she joined our team in early 2014! She covers a lot of ground by working both the front office — handling phones and answering questions, and the back office, as one of the doctor's assistants. Jacquelyn has a way of making you feel like you've met before...and if you have kids, you may have! She is very involved with Benicia's youth, having worked for many years at Happy Hearts Preschool and teaching classes at Benicia Ballet Studio. Dr. Tosch's son, Neal, graduated with a BS in Biomedical Sciences, with the ultimate goal of attending dental school. While working through his classes, he started apprenticing with Dr. Tosch in his lab and realized that this is what he wanted to do. His background in art & biology give him a unique ability to create beautiful restorations for our patients. 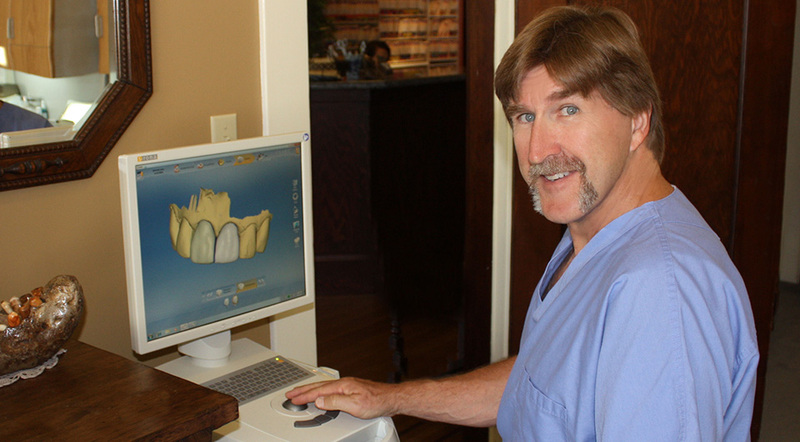 His sense of humor, quick wit, and easy-going attitude add to the family environment here at Tosch Dental. If you find yourself in need of any dental restoration, whether it be a simple crown or a complete denture, you can be sure that both Neal and Dr. Tosch have personally crafted it.